Dr. Andrew C. Korinis, D.D.S. I reside in Glen Rock with my fiance, Mary and I'm a father and grandfather. My son, Justin and his wife, Kristin, have given me a beautiful grandson, Nixon. My son, Jordan, and my daughter, Ali, both live and work in Manhattan. When I am not practicing dentistry or spending time with my family, I am a passionate sports car enthusiast with my BMW and Porsche. There is a significant crossover between high performance driving and dentistry with unexpected benefits. For example, performance driving requires fine motor skills - a heightening sense of acuity which translates into superb manual dexterity and coordination with my dental equipment. Exceptional reaction time and quick thinking on the track helps me to adapt, assess and diagnosis complex emergency cases. And finally, being intensely focused with communication skills provides for successful patient outcomes coupled with excellent communication to my "pit crew" - my highly trained and motivated staff. 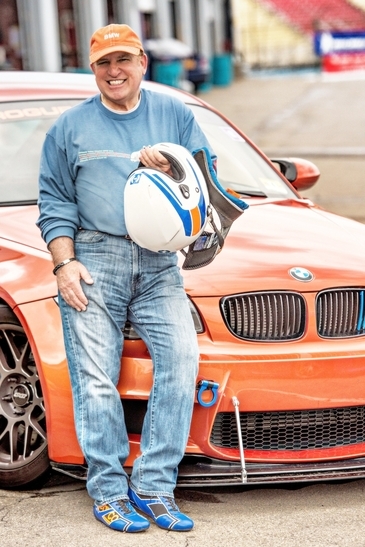 I am a legacy high performance driving instructor and a past president of the NJ Chapter of the BMW Car Club of America. If you are a car enthusiast, I would be happy to share my insights about this exciting hobby! I am Dr. Andrew Korinis, and it is with great pleasure that I extend a warm welcome to you and your family from Bergen Smile Confidence. I earned my D.D.S. degree from the Northwestern University School of Dentistry. I am a member of the New Jersey Hellenic Health Professionals Associations and I have been a Bergen County Delegate to the New Jersey Dental Association Council on Dental Health. I have been practicing cosmetic family dentistry for 40 years, proudly serving patients in the Bergen County area. Once you get to know me, you will see that I am a caring and compassionate professional who will give you the personal attention and prompt, on-time service you have come to expect. My philosophy of care recognizes that each patient is an individual, and our goal is to help you retain your teeth and gums in comfort, function and aesthetics for a lifetime. That is what we mean by Smile Confidence. My dental team you have come to know is proud of the dental services and products we offer. Let us know how we can help you quickly feel at home in our office.